McDowell Sonoran Preserve at sunrise. Photo courtesy of Scottsdale Convention & Visitors Bureau. 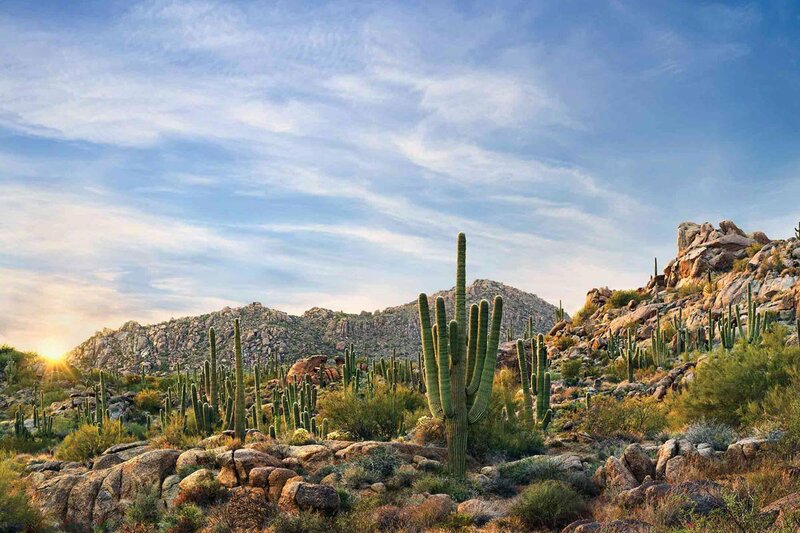 With the Sonoran Desert in their backyard, locals in Scottsdale, Arizona, don't have to go very far to get away from it all. 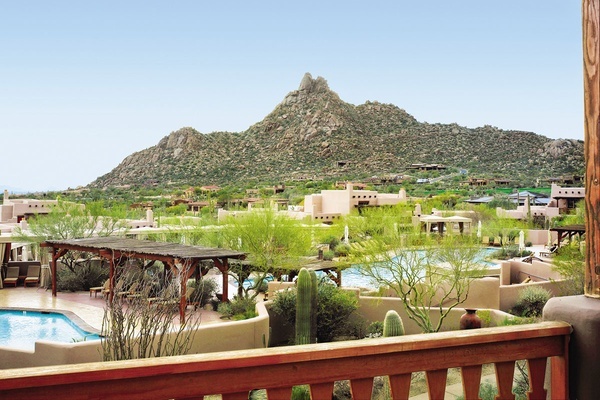 SCOTTSDALE, Arizona – Reasons to visit the well-manicured city of Scottsdale include gold-standard golf courses, the legacy of architect Frank Lloyd Wright, and spring training, which attracts the highest density of Major League Baseball teams and fans in the United States. Not me. I spent five days in Scottsdale because it's smack dab in the middle of the Sonoran Desert. 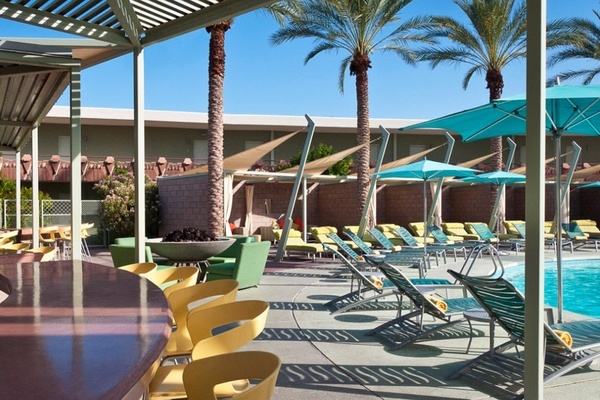 For decades, celebrities and commoners (not to mention a good number of retirees) have taken advantage of the approachable wilderness and refined comfort that bestowed on Scottsdale a suburban oasis status comparable to that of Palm Springs and Miami Beach. But although life may be a touch toned down in Scottsdale, locals have the luxury of taking desert vacations on the daily. Here's how that typical day plays out. Surrounded on three sides by mountains, it's no surprise that outdoor adventure is Scottsdale's favorite pasttime. As locals love to say, there's quality hiking fifteen minutes from anywhere around here. Still, there's good reason to wake up early and drive a little farther out to , a 30,000-acre swath of desert with 170 miles of hiking, biking, and horseback riding trails that feels nowhere remotely close to civilization. At Brown's Ranch trailhead, sandy paths weave through flowering bush, photosynthetic barks, and cacti of all kinds — a reminder that the Sonoran is Earth's greenest desert, thanks to not one but two annual downpours. The iconic saguaro cactus towers over the wilderness, often distracting people from the jumping choya underneath, whose hooked spines tug the skin when stuck and pierce shoes like razor blades, something this journalist discovered the hard way. For most visitors, sweeping views from Tom's Thumb (a moderate climb in Brown's Ranch) and the occasional fall from a mountain bike are enough adrenaline for one morning. But those that want to ramp it up scale , one of Scottsdale's most popular and strenuous hikes. Early birds catch the worm when it comes to desert workouts. Except in Arizona, where there's enough hiking to accommodate the latest of risers. Night owls can still work up a sweat before noon at , a 1.75-mile, one-way hike that starts a few feet from , an easy location for getting a healing hiker's massage at the spa. Also convenient is at Four Seasons, one of the best (if not the only) restaurants in the area, where diners get a range of updated American classics from the menu; tattoos from the waitstaff; and sweeping views, lots of saguaros, and the occasional rabbit, quail, and bobcat from the desert. Pinnacle Peak from Four Seasons. Photo courtesy of Scottsdale Convention & Visitors Bureau. The spa (and just the spa) at Boulders. Photo courtesy of Scottsdale Convention & Visitors Bureau. The massive spa, which is open to the public, offers luxurious experiences like watsu and seven-oil chakra aligning massages, as well as hydrating treatments incorporating fragrant desert ingredients. The grounds themselves facilitate reflection with hammocks, a mini-labyrinth for walking meditation, an organic garden adjacent to the spa cafe, and a Native American-inspired teepee, where shamans lead classes that get to the core of it all. 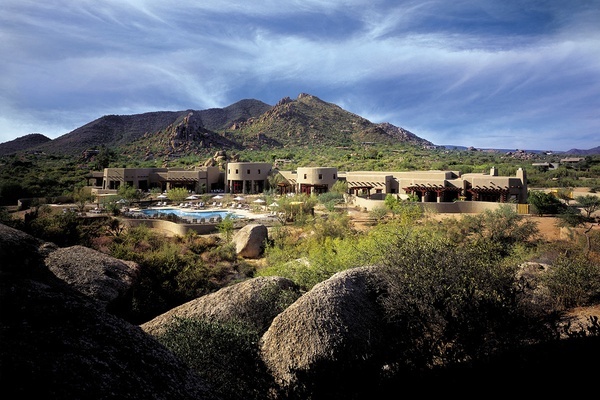 For those too relaxed to leave, the rooms are adobe casitas organically designed to resemble the namesake twelve-million-year-old boulders that tower over the core of the hotel. When temperatures cool, the scene in downtown Scottsdale heats up. On weekends, university kids flock to bars and clubs in the Entertainment District to, for example, day-drink in swimsuits at spring-break-inspired . But on any given day, a more laid-back crowd goes to Old Town Scottsdale next door for its heavy concentration of galleries, shops, bars, and restaurants. Though some streets look like sets from old westerns, there are places that are cool and not kitschy where a weary traveler can recharge. Among the smorgasbord of suburban eateries is , whose locally sourced menu makes it very clear that Arizona has farms and vineyards and a food culture you didn't know could thrive in the high desert. is a technically advanced indie coffee shop where urban cowboys get their single-origin aeropress fix. , a few minutes by car from Old Town, draws locals for cocktails and the occasional swimsuit dance party. It's mid-century modern with a martini-glass pool and legitimate Mad Men allure. Mid-century modern pool vibes. Photo courtesy of Hotel Valley Ho.. 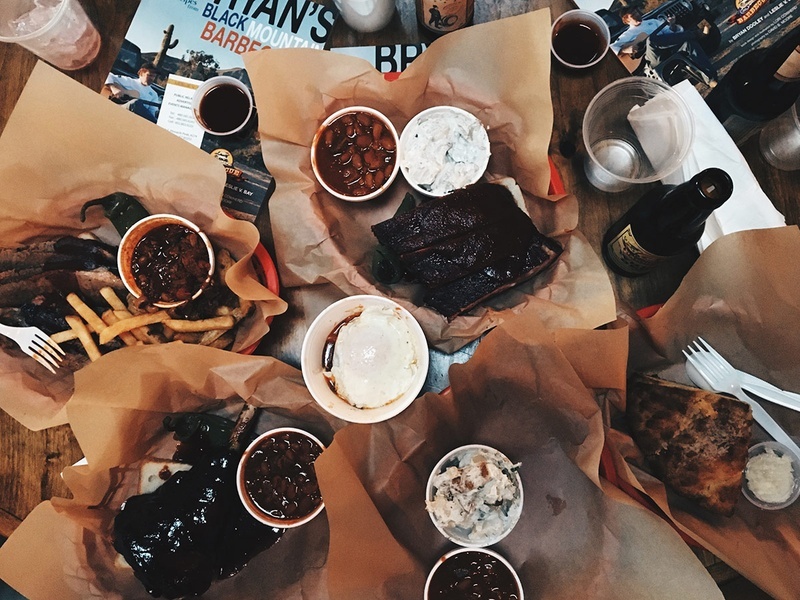 The spread at Bryan's Black Mountain Barbecue. Photo by Daniel Schwartz. For a city with an early bedtime, Scottsdale has surprisingly satisfying ways to spend the evening. Gazing skyward at nighthawks and constellations is always a safe bet. Barbecue is a gamble, except at in Cave Creek, where the Chicago-born, classically-trained chef doles out big portions of gluten-free classics with a twist — ginger-beer braised lamb shank, brisket-grease corn bread, and pulled squash (not to mention pulled pork) topped with fried egg. As far as the party's concerned, there are the aforementioned clubs, but for a more authentic night out, there's , a joint that is totally not for the animal sensitive: Anyone (including kids) can ride real live broncin' bucks. Amid fire pits, cigarette smoke, cheap beer, barbecue, and the smell of bull feces, it's hard to escape the fact that, spa treatments aside, this is still the wonderful Wild, Wild West. Fly into Phoenix Sky Harbor International Airport (PHX). If you fly private, land at Scottsdale Airport (SCF). Or don't, because , a beloved restaurant and one of those places that sells out before 1 p.m., is right outside PHX. And that might be worth the fifteen-minute drive to Scottsdale. Rent a car from the airport. You'll be using it often — Scottsdale is suburban sprawl, and the desert is even more vast. Downtown, a free tourist trolley connects the area's main districts, shops, and Hotel Valley Ho. From mid-February until the end of March, spring training draws huge crowds to bars and stadiums in the Phoenix Metropolitan Area. During the summer, temperatures are boiling and rains can be heavy, though hotel room prices plummet, some from $500 to $100.